5.4 Inverter Phase Limits: Single phase inverters, are acceptable up to and including 10kVA of installed capacity on a customer’s installation, however total export shall be limited to 5kVA or less via partial or minimal export operation, as per Section 5.9.1. Proponents with a single phase service wishing to export greater than 5kVA will need to make application with their retailer to upgrade their service to two or three phases. So, post over. You can install a 10kW solar system on single phase, and this should now be the norm for single phase, right? Well, not exactly. The line, “Export Shall be limited to 5kVA or less,” puts a spanner in the works. The concept is simple. Energex will approve your solar connection, as long as you ensure no more than a set amount of power is sent back to the grid at any one time. Before these connection standard changes, if you wanted an inverter larger than 5kW, you needed to upgrade to 3 phase. This can be quite an expensive upgrade and could be comprised of trenching, traffic control, Energex fees, electrician fees, etc. In some circumstances, it just isn’t financially viable. You were better off installing a 5kW solar system, just having it cover what it could. So now, for high usage single phase households, there is an alternative option – keeping your connection as single phase, but installing up to a 10kW solar system with export limitation. The far more financially viable option. If you read into Mark’s previous blog that debunked Goldilocks solar and showed the benefits of going as big as possible, you may also be thinking 10kW inverter capacity should be the norm for single phase. However, because we’re required to export limit the site, we have to ensure the household benefits from it. I always like a visual explanation, and I will find any excuse to post an image of a graph. Below is the solar production of a household limited to 5kW exportation, with a Fronius 8.2kW inverter and 10.2kW worth of panels. The green filled-in portion is what is being sent back to the grid, while the grey filled-in section is what’s being consumed by the household. In this export limited scenario, the green portion can never exceed 5kW. As you can see I’ve also filled in the potential missed production in a darker green colour. This is an estimate as to what the system could have produced, and therefore sent back to the grid, but was unable to do so due to the 5kW exportation limit. However, if the base load was increased, the system would be able to reach its full potential, and nothing would be “wasted.” Below is an example of what the production graph might look like with a higher base load. You can see that by increasing the base load of the house, there is no “wasted” production as export limitation doesn’t need to occur. This is good practice for installing a larger than 5kW solar system on single phase. Have I missed the boat if I already have a 5kW Solar System Installed? If you already have an existing solar system in place, and more roof space available, we can simply install an additional Fronius Inverter alongside it. As long as the new total inverter capacity does not exceed 10kW, it also doesn’t matter what type of inverter you currently have. However, we would need to install a Fronius Smart Meter to control the Export Limitation, and the consumption data would unfortunately not report properly. But, if your existing inverter is a Fronius Primo, we can simply link both data loggers, enabling you to also have full consumption data of both inverters on the one monitoring portal. You can also utilise your existing smart meter if you had one on your original install. So, if you’re finding you have large daytime usage and more roof space to play with, it may be worth giving us a call to discuss your options to see if and how you can achieve a 10kW solar system. If you wanted to install larger than 5kW of inverter capacity on single phase to help cover your high base load, you could not install a Tesla Powerwall, or any other AC battery that pushes your total inverter capacity above 10kW. This is because AC batteries use an inverter to convert the AC power they receive from solar inverters to DC power for storage. Although this has no effect on the grid, Energex has deemed this storage inverter as inverter capacity. Since the Powerwalls’ AC to DC inverter has a 5kW output, anything larger than a 5kW Solar inverter pushes us above the 10kW Energex limitation. You could install DC batteries just fine, and there may be other alternative options out there in the future. Furthermore, if you require a system larger than 5kW to meet your household requirements, you’re not going to find enough excess generation to charge an AC battery anyway, so the point is somewhat moot. If you want to take advantage of a bigger system on single phase, but don’t have the base load to justify it, and have an off-peak electric hot water system, then it’s a good case to revive my previously declared dead, Fronius Relay. The general concept of the post was; exporting power is a more valuable solution than heating a hot water unit, due to increased feed-in tariffs. But since the anticipated base load is not high enough, you may run into this “wasted” generation. This means the production diverted to the hot water unit via the use of a Fronius relay would have been unable to be exported anyway, so the calculation changes. This is a prime revival case for the Fronius hot water relay, but as the discussion is a bit more in depth it’s best to read the blog first to understand it better. However, hot water timers are still well and truly dead. Through the use of export limiting, single phase households can now install a 10kW solar system. However, it’s important to understand the effects of export limitation, and whether it’s a good solution for your particular circumstances. Having additional intelligently timed loads, or excessive daytime usage will minimise, or even eliminate the “wasted” power export limitation incurs. If you have an electric hot water system, it’s also a good revival case for the Fronius Hot Water Relay. If done correctly, larger single phase systems through the use of Export Limitation can be a great, cost-effective alternative compared to upgrading to three phase. You may have noticed my examples were using 8.2kW primos, even though the approved amount is 10kW. This is mostly due to price, flexibility, and the diminishing returns of 10kW. The only current way to achieve 10kW solar systems on single phase is to install 2 x Single phase inverters. This is far more expensive than a single 8.2kW inverter, and you’ve now got an extra 5kW of potential export limited power that you’ll need to utilise to see the benefits. If you truly do expect a consistent base load of around 5kW, then it may be worth upgrading to 3 phase. If that’s not an option, then investigating 2 x 5kW Primo’s may be the go. However, for the majority of our installations, the 8.2kW Primo provides sufficient power, is flexible in its design, and cost-efficient. 16 Comments on Can I Install a 10kW Solar System on Single Phase? Hi David, Two phase is quite rare, and I'm not sure on your exact DNSP guidelines. Best bet would be installing 10kW of inverter capacity, 5kW on each phase, without any export limitation set. As you are installing multiple single phase inverters across multiple phases, the Inverters would need to be interlocked with the ability to shut down simultaneously. You technically could install more inverter capacity on each phase, but both inverters would need to be export limited to 5kW on each phase, requiring two consumption meters. This is expensive, and probably not required as 10kW capacity should be enough. Hi Ben, i live in NSW on 5 acres and have 2 lines (2 phase) coming in so how much can i export into the grid? Hi Matt, Are you noticing your Solarweb production data "clipping." In that your system could be producing far more at times but is being limited to the 5kW exportation limit? If not (and you only used 9kW) your export limiting could be not set correctly. But if so, then yes, you are a prime candidate for a hot water relay assuming you get a large hot water cylinder that can go through the night without requiring heating. I've just had a 7.8kw system installed in Melbourne. We're on single phase and thus export limited to 5kw. I'm a perfect example of the "oversized system with low base load". Yesterday I exported 52kwh to the grid, yet used only 9kwh. We currently have a 15 year old gas storage hot water unit. Am I right in thinking that we'd be great canditates for electric hot water with the Fronius relay? Thanks for the info. Thanks Ben for responding, and for mentioning the Solarwatt battery (I have actually looked in to them) interesting idea & concept. The one thing I didn't mention previously was - I really want to have backup power during a power outage (even though outages don't happen very often where I am). I will definitely keep my fingers crossed that something changes regulation wise (or a new product appears) by the time battery storage becomes financially viable (which might not be that long if the Victorian Battery rebate happens after the next state election in November). 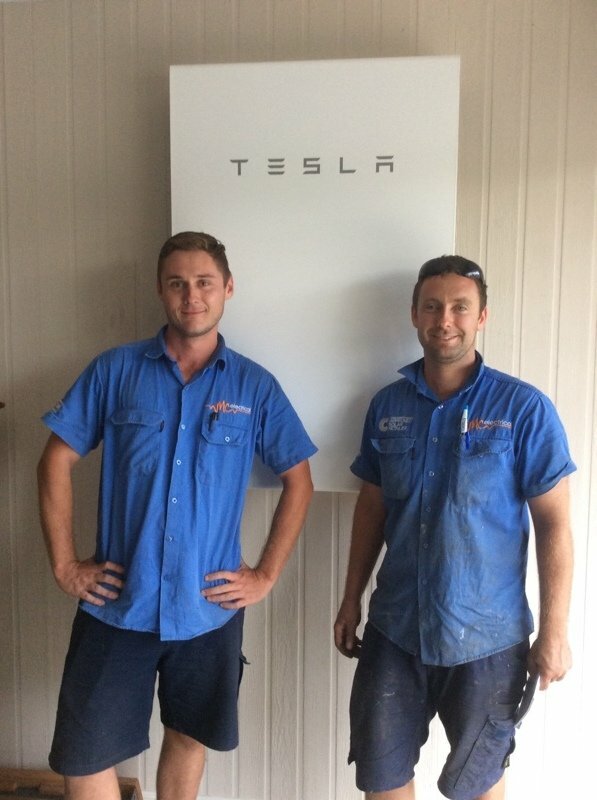 Will be interesting to see if Michael (Post Code: 3777) has any luck getting his 10kW Solaredge inverter and Tesla battery system approved. Alternately I will just have to bite the bullet and replace my inverter (luckily I don't have more than 6.6kW of panels currently). Thanks again for mentioning/explaining the 10kW inverter limit in your great article (I will now be able to ensure that I take this into account when answering any general questions about solar & battery storage from friends and family). Hi Paul, Thanks for the feedback! Hopefully the regulations regarding AC batteries change by the time they become financially viable. There is also the alternative option of a Solarwatt battery which won't contribute to your total inverter capacity. Thanks for this valuable information about the Capacity of single Phase. Very informative Blog. This Blog will very helpful in Solar panel system . Hi James, Your roof layout is going to dictate how beneficial a bigger inverter will be. If you have a full north facing array, a 6kW Primo might be the go - assuming you are already proceeding with a Fronius Smart Meter and you use some power in the day so as not to "waste" the additional 1.6kW. However if you have a mix of East and West, your array may not be able to produce more than 5kW for the majority of the year anyway, so a 5kW Inverter will be suitable. I am about a month out from getting a 6.6 kW system installed with a Fronius Primo I.V inverter, would i be better of getting an upgrade to a bigger inverter to take advantage of that extra 1.6kW of panels? Or is it not really worth it for a small electricity user? Hi Tim, Unfortunately I'm not across the SA power network regulations, but from reading some other sources that do have a more SA focus, I don't see why not. I believe a timer/relay linked with a hot water unit, especially an element with a smaller kWh draw, would get the most out of an export limited system. An AC battery adds to our total inverter capacity here in Brisbane, and would therefore not be approved. However, if it were possible in SA, a battery would be the best contributor to a higher base load. It also makes their return a lot better as we'd be unable to export the excess anyway, so Feed In Tariff calculations are removed from the equation. Meaning, their prices may not even need to drop "significantly." just enough to make the math work. HI Mark, Thanks for the feedback. Unfortunately there is no way to "unlock" the inverter to snag any potential missed production. You would need to either install an additional inverter like you say, or replace your 5kW Fronius Primo with a 6kW or 8.2kW Fronius Primo, with export limitation enabled. Hi Michael, Thanks for picking that up, although like you say luckily it's still relevant - 10kW of inverter capacity, 13kW of array. Great to hear you can achieve 10kW of inverter + the Tesla Powerwall, that's something we can't get approved for here - yet. Your email has 13kW in the title, although I presume the article is still relevant. Similar regulations apply here and I have applied for approval for a 13kW single phase system with 5 kW export limiting using a Solaredge 10kW inverter. I already have a Tesla battery installed. Hi Ben, a great workaround, would this comply on SA Power Networks SWER line? While mark explained in a previous blog that timers for hot water are not a good option, does the balance swing if a timer and lower wattage HW element be fittet, to give a long baseload for an oversized system such as 13kw panels on 2x5kw inverters. Further, if battery storage cost drop sufficiently, would this work on a system where part of the house is connected via the second inverter in a UPS scenario, at least for lower amp circuits? 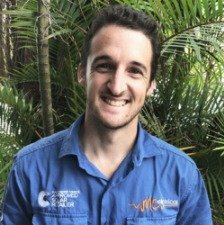 Great article Ben and very interesting. So with my current 5kw Fronius plus smart meter together with 6.6kw of panels is there a way to unlock the Fronius to use the full 6.6kw without installing another invertor ? My smart meter relay runs my electric hot water during the day. Thanks.